It is best to begin the application process as early as possible in the school year prior to enrollment. The sooner the Application Procedure begins, the better the chances to have a position available for your child. The best way to choose a school is to visit the campus, meet the faculty and see for yourself if it’s a good fit for your child and family. We offer family-friendly, K-8 Open House events in November, January and March. Free Kindergarten Readiness events for parents and child occur in February, April, June and December. Tours are for parents only. We tour one family at a time so you can talk specifically about your child and we can make sure to answer all your questions. Tours are generally offered Monday through Friday, twice each morning, at 9:00 a.m and 11:00 a.m. The earlier tour will see the classrooms during Math, while the later tour visits classrooms during Reading/Literature. We offer several ways to get to know us: School Tours for parents, Open House events for the whole family, and free Kindergarten Readiness classes for children and parents to attend together. Use this form to RSVP for Open House, request a School Tour, or to receive more information about the school. The School Tour is an opportunity to see the classrooms in action. The Admissions Department schedules one family per tour (parents only) to keep the visit personal and relevant. Parents can get all their questions answered and discuss their goals for their child. The tour covers our educational philosophy and a campus tour, including a visit to the classrooms, science labs and other studios. At the end of the tour, interested parents may fill out an application for admission. After applying for admission, a Visiting Day gives the child one full school day in the classroom at Delphi. It’s a chance to make friends, get to know the teacher and experience the school. We’ll evaluate the student, determining their placement in mathematics, reading and overall academics. At the end of the day, parents are provided with a written report of the day with information from the teachers and Dean of Students. Once an enrollment application has been evaluated, interviews completed and academic records and test scores reviewed, the student and parents are notified as to whether the student has been accepted. The highly individualized nature of the Delphi Program™ allows students to begin at any time during the school year upon receiving notice of admission, providing there is space available. Most students begin in September, January, or in June at the start of the summer session. Hello! 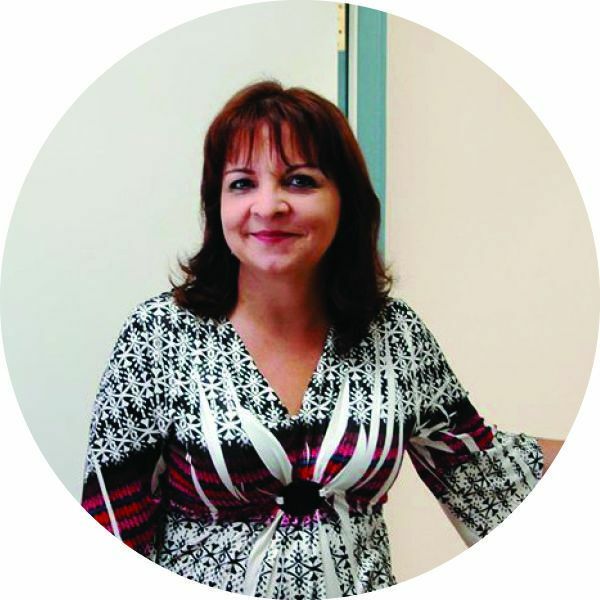 I’m Maria Agrillo, Head of Admissions at Delphi Academy. It is my pleasure to introduce families to our program. I’ve worked at Delphi for over 20 years both as a teacher and administrator, and all three of my children are Delphi alumni. Choosing a private school for your child is a big decision. My Admissions Team is available to help you understand our unique, hands-on approach to education, our school philosophy and what it’s like to be part of the Delphi community. Enrollment begins in January, and it’s always best to start early to ensure your child has a position. So, I hope to meet you soon at an Open House or for a personal School Tour. Thank you for your interest in Delphi Academy! *Enrollment in all 8 weeks provides a $100 discount. A camper enrolling in less than 4 weeks is charged $495/week. Overnight trips have an extra charge for food and activities. The Academic School Year price includes field trips, morning drop-off from 7:30 a.m. and a school day from 8:45 or 9:00 a.m. to 4:30 p.m. After School Activities are available until 5:30 p.m. and Evening Kidwatch until 6:30 p.m.
Summer Camp price covers camp days from 8:45 a.m. to 4:15 p.m. Morning drop-off is included from 7:30 a.m. and Evening Kidwatch is available until 6:30 p.m. for $50/week. Delphi Academy offers a limited amount of financial aid each year. Parents apply online through TADS Tuition Aid by March 15 with a small fee and all supporting documents. Final award decisions are made by the school and are based on need and the amount of financial aid available that year. Here we provide the answers to common questions about the Delphi Program. If you do not find your question and answer here, please drop us a line and we will gladly get back to you. Qualified students may enroll at any time throughout the summer and academic school year, space permitting. Most students start in August, January or June. For students interested in the coming academic year, we recommend starting with summer camp for a fun transition into the Delphi Program. What happens on a child’s Visiting Day? Students spend a day in the classroom, participate in class activities and are assessed for academic placement and Delphi Program readiness during their Visiting Day. For younger students entering Kindergarten or 1st grade, teachers observe if the child is ready for school – can they follow directions from the teacher, participate in activities and are they ready and eager to be a student? The Lower School Dean also meets with the student for basic testing to see how much the child already knows to ensure they are correctly placed. Older students are evaluated on an individual basis for academic placement and Delphi Program readiness. Ideally, the student is academically working at or above grade level, conducts themselves well and is keen to learn. Based on the results of these assessments, and assuming the student is not seriously behind academically, he or she would be considered for enrollment. What if we are transferring from another school? When applying to Delphi from another school, the application form with photo, student records and a recommendation from their current classroom teacher are required. The application includes parent statements, a student essay and basic information about the child. The usual application procedure, including a tour of the school by parents and a student Visiting Day with testing, interview and assessment are part of the transfer application. Delphi students advance based on demonstrated mastery of subject material rather than by age or time spent at one level, so each student is individually evaluated and placed in the class that is right for them. Transfer students are evaluated, then given a complete, custom-designed academic program. Students move through these programs as rapidly as they are learning and demonstrating competence. Even a Kindergarten student may have a personalized program if, for example, they are advanced in reading or math and should be placed further ahead in certain subjects. We do not have a program that isolates gifted students from others. However, we do offer Honors programs for Levels 4 – 8 for students that can handle extra challenges and rigors. In general, the Delphi Program is particularly well-suited to the bright child because it allows students to advance as rapidly as they are learning and demonstrating competence. Do you accept students with "behavior problems" or "learning disabilities?" We do not have a program to handle children with serious problems. Sometimes, children are mislabeled or are simply in an educational program that is not suitable for them. For some of these children, our basic teaching method and study techniques are all that are required to get the student back on track. The Delphi Program is rigorous and demands a certain amount of ability to study independently, to set goals and to work with others, so we try to be as accurate as possible during the Visiting Day assessment to determine if a child will be able to succeed at Delphi. I see you mention L. Ron Hubbard in your materials. Who is he and what does he have to do with Delphi Academy? - open the world of knowledge to them." In our goal to educate and empower students to gain competence, confidence and true understanding, we employ study methodologies from L. Ron Hubbard. No. Delphi Academy is an independent, non-sectarian school open to all students and families, irrespective of their personal faiths and beliefs. While many people are familiar with Mr. Hubbard as an author and founder of the religion of Scientology, the school only utilizes his secular, educational writings. While it is a common misconception to assume that Delphi Academy is a religious school, the school's policy is one of respect for the religious beliefs of others and nothing of a religious nature is required of students or families. Delphi Academy seeks to celebrate the cultural backgrounds represented in our student body and to educate students about the various heritages and customs of different cultures. However, matters of religion and any child's questions about religion, God or aspects of a spiritual nature are directed back to the parents for answering. The school considers religion to be a personal choice of the family and does not advocate any specific doctrine of faith, worship or belief. Rather, we seek to educate students to appreciate and respect their own and others' spiritual choices. How do you view the role of parents in a child's education? We see parent involvement as vital. Joining Delphi Academy means becoming part of a close-knit, family-oriented community. In a sense, you have invited the school into your family, and we are aware of the trust and partnership that implies. Your active participation and communication with the school regarding your child's education is considered essential to the young learner’s success.